If you receive Social Security disability benefits or Supplemental Security Income (SSI), special rules make it possible for people to work and still receive monthly payments. If you want to try working again, seasonal work may help you ease back into the work force. Read Working While Disabled or visit our Ticket to Work website for more information. Keep in mind that you must report all earnings, including your seasonal earnings, to Social Security; however, they also count toward your future benefits. You earn Social Security credits when you work in a job and pay Social Security taxes. We use your total yearly earnings to figure your Social Security credits. You can learn more by reading How Your Earn Credits. You can also get Social Security retirement or survivors benefits and work at the same time. But if you’re younger than full retirement age and earn more than certain amounts, your benefits will be reduced, although not dollar for dollar. Your benefits may increase when you reach full retirement age. 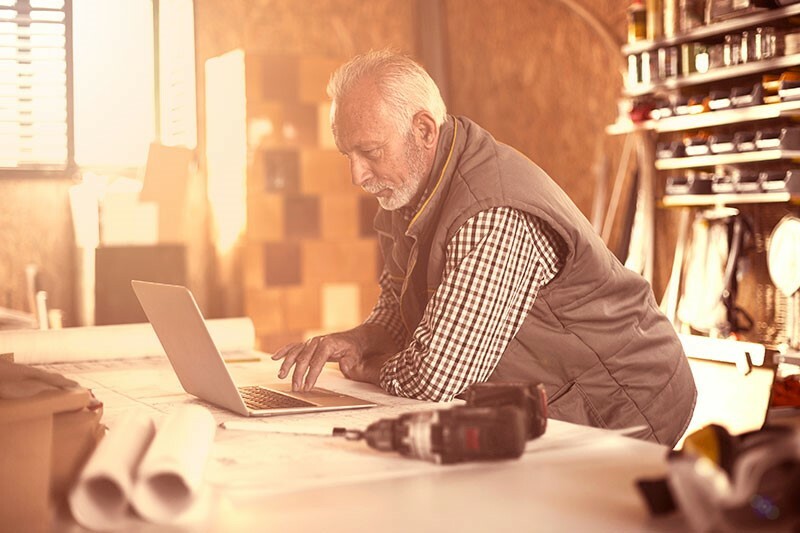 You can read our website for more information about working while retired. I am currently looking for a part-time job in Sacramento, California. I am getting social security. I would appreciate any help or advise you can give me on my search. Hello Lisa. The Ticket to Work program provides Social Security disability beneficiaries who want to work with access to free employment support services. Please check it out! What are my chances for one of these seasonal jobs. I am 72, but in good health. Social Security is not a job placement agency. The point here is if you get disability you must report your earnings. If you are retired and earn over what is allowed, that must also be reported. Social Security is not a job placement agency. The point here is if you get disability you must report your earnings. If you are retired and earn over what is allowed, that must also be reported. For some reason, SSA will not allow my post. rity is not a job placement agency. The point here is if you get disability you must report your earnings. If you are retired and earn over what is allowed, that must also be reported. The Greensboro North Carolina office is feminine biased to allowing false pretense to force engagement for SSD theft. The office. Office of inspectors general does a piss poor job to investigation. And of course they never follow up with complatatant. I am interested in customer service work or line cook or any hospital work I may qualify for. I had heard that ssa would receive monies that was owed to them from being under paid is this true? Like the site just scare to make the first call, catch 22 don’t want to loose my benefits. Hi Louis, thank you for using our blog. After you start receiving disability benefits, you may want to try working again. To ensure you continue to get paid accurately, and to help you avoid a possible overpayment, it is important to let us know promptly when you start or stop working, or if any other change occurs that could affect your benefits. However, Social Security has many incredible “work incentives” that can help you keep your benefits while you test your ability to work. Check out our brochure “Working While Disabled: How We Can Help“. Iit would really ne helpful if there were trusted sites to search for that kind of seasonal work you reference. First go to your own state’s resources. Every unemployment office has programs to match workers in every category (senior/retired, disabled/handicapped, displaced or laid off workers, etc.) with employers who regularly work with them to hire from these specific groups. They even provide training programs to prepare workers with training and skills needed to reenter the workforce, all for no charge to the worker. Another very heloful site for senior, older, or otherwise retired persons is the AARP website. They have an entire section devoted to connecting senior and other workers over 50 with employers who hire retired persons for well paying part time positions, including an updated listing of employers and resources to help you with ever aspect of a job search from resume to interview and everything in between. Anyone who can’t find employment through one of these resources isn’t putting serious effort into the endeavour. Good luck to you. Hello Rickey. The Ticket To Work Program can help Social Security beneficiaries go to work, get a good job that may lead to a career, save more money, and become financially independent, all while they keep their health coverage. Please visit our Frequently Asked Questions web pages for information on returning to work while getting disability benefits. Thanks! Hi Pat. If you are divorced and unmarried, you may be able eligible for divorced spouse’s benefits if the marriage lasted 10 years or longer. See our Retirement Planner: If You’re Divorced for other eligibility requirements and more detailed information. get irked while folks consider worries that they plainly don’t know about.